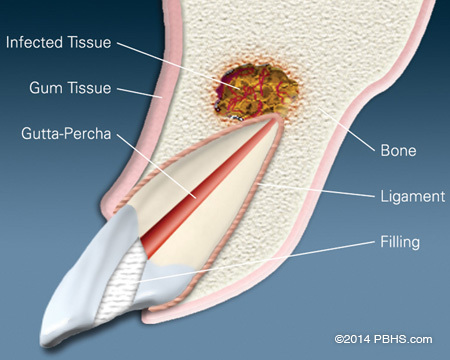 What is an Endodontic Surgery? The video on the right illustrates this simple procedure. 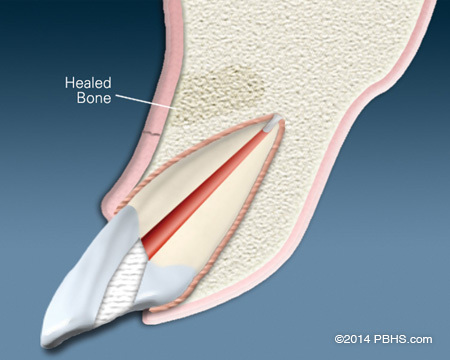 An incision is made in the gum tissue to expose the bone and inflamed soft tissue. 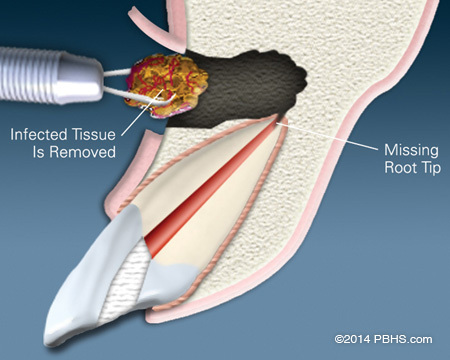 The damaged tissue is removed along with the end of the root tip. 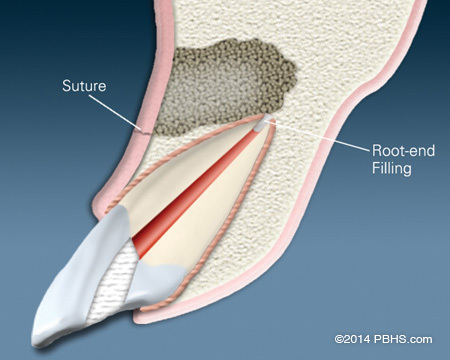 A biocompatible root-end filling is placed to prevent reinfection of the root and the gum is sutured. The bone naturally heals around the root over a period of months restoring full function.